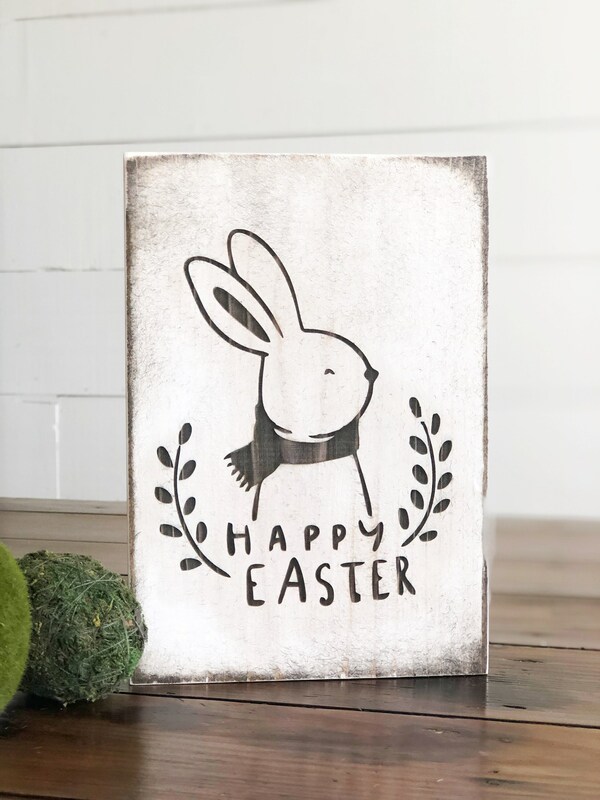 This sign is absolutely adorable.. 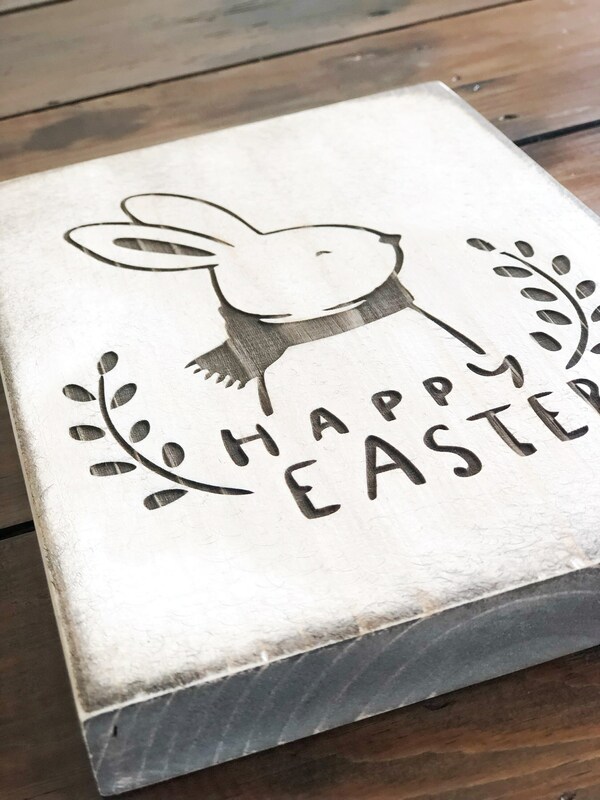 Featuring a Vanilla paint. 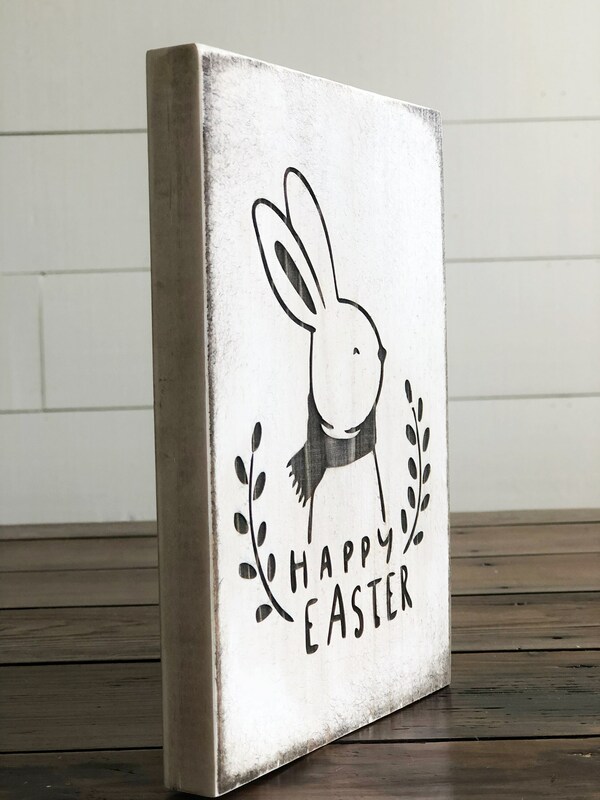 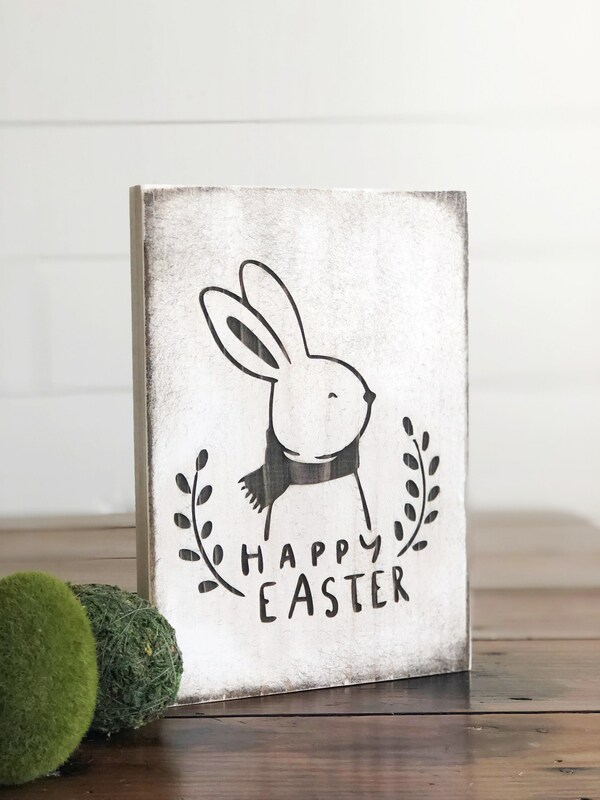 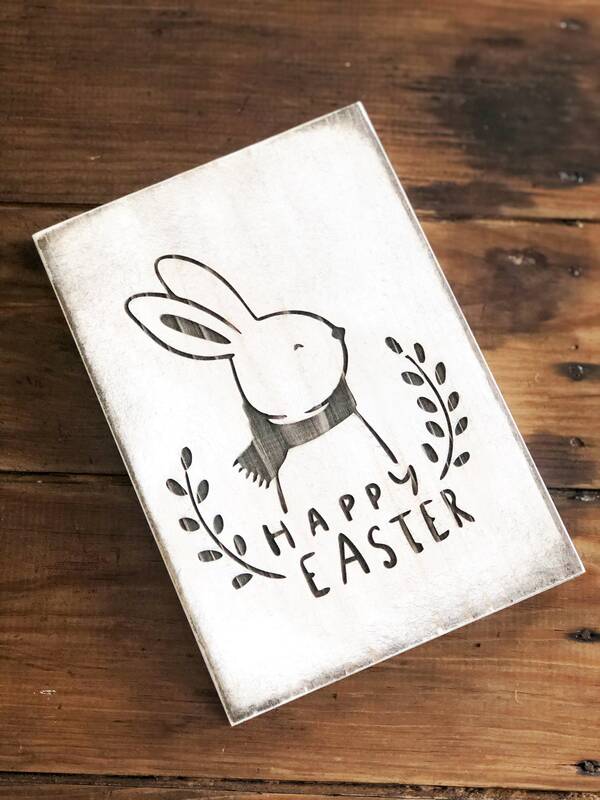 I then created the Bunny design with the wording Happy Easter and laser engraved the image onto the sign after engraving, sanded the edges and finished with a clear coat..